My friend of mine, Ute, has that certain knack for design and decoration. Each piece in her apartment is carefully and tastefully selected. She varies the home accessories according to the seasons, but despite the constant change there is also a pleasant continuity. 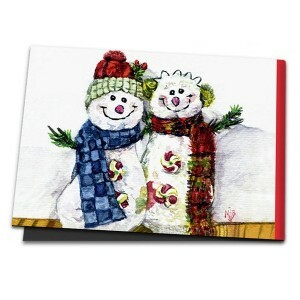 Each year, at Christmas time, she puts, for example, two funny snowmen on her windowsill in the living room. I am pleased again and again to see them - not only because they have been such good models, but above all because they enrich the Christmas sparkle and Christmas lights with an especially cheerful wintry note.